Recent works in image editing are opening up new possibilities to manipulate and enhance input images. Within this context, we leverage well-known characteristics of human perception along with a simple depth approximation algorithm to creatively relight images for the purpose of generating non-photorealistic renditions that would be difficult to achieve with existing methods. Our real-time implementation on graphics hardware allows the user to efficiently explore artistic possibilities for each image. We show results produced with four different styles proving the versatility of our approach, and validate our assumptions and simplifications by means of a user study. 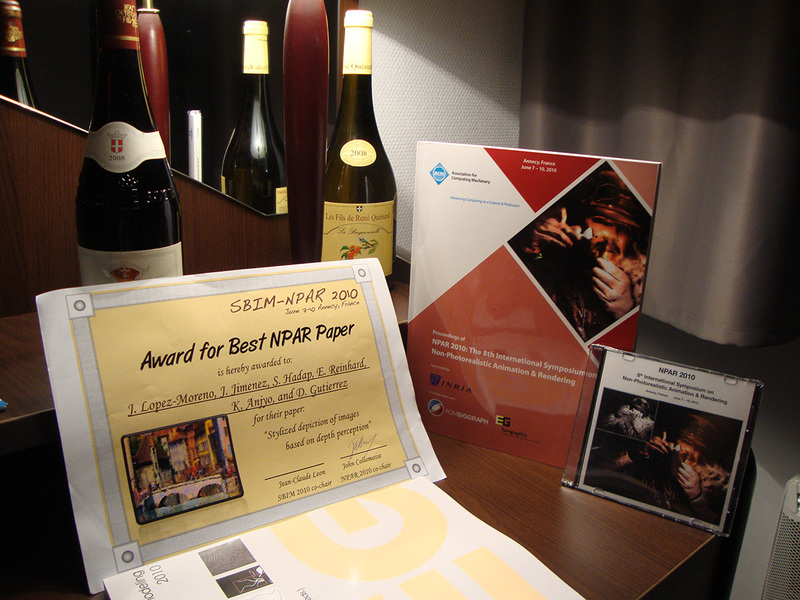 News: Our work received the best paper award and was chosen for the front cover in the NPAR proceedings [photo].